58027 ambles along the relief line at Ampthill (Millbrook) with an overhead electrification train on 29 May 1988. 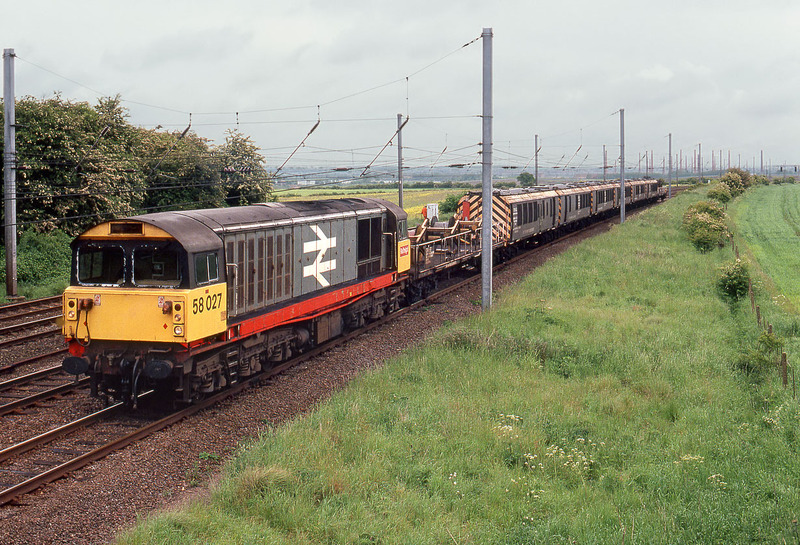 Intensive use of the class on power station coal traffic during the week often gave way to easier duties such as this at the weekend. Note the brickworks chimneys in the background.